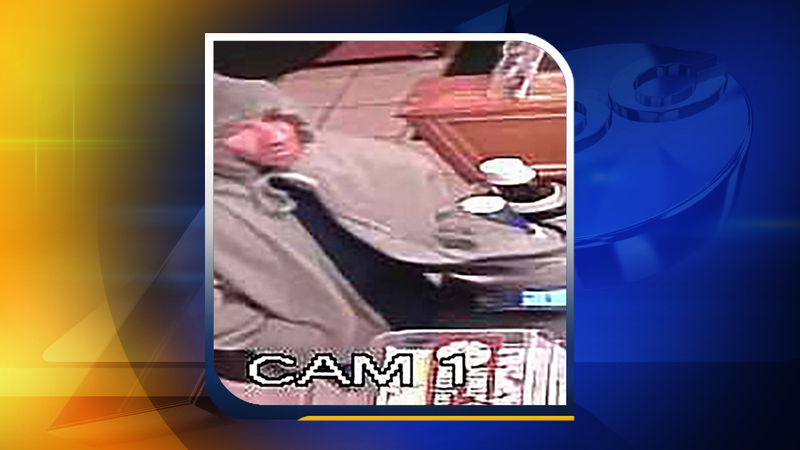 RALEIGH, N.C. -- The Raleigh, North Carolina Police Department is seeking help finding a would-be robber. The hapless suspect tried and failed to rob three Raleigh businesses on Tuesday about 6 p.m.
Police said he entered the Oreck Vacuum Store at 8321 Brier Creek Parkway, then the Subway restaurant at 7850 Alexander Promenade and finally the Plato's Closet store at 7920 Skyland Ridge Parkway. After the third bungled attempt at criminal gain, the suspect was seen fleeing into a nearby wooded area. He is described as between 5 feet 10 inches and 6 feet tall, with a medium build. He had blond or light-brown facial hair or stubble. Anyone who believes they may recognize the suspect or who has other information that might assist the investigation of the incidents is asked to call Raleigh CrimeStoppers at (919) 834-HELP or visit their website for text and email reporting options. CrimeStoppers pays cash rewards for anonymous tips that help solve cases.